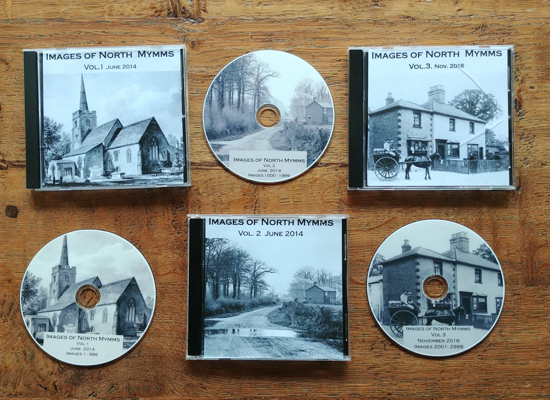 This feature about North Mymms place names was written for the newsletter produced by the former North Mymms Local History Society by local historian Bill Killick. It is one of several reproduced on this site in an effort to try to preserve as much of the archived material as possible. In this parish, most properties seem to retain the name of an early owner, but not necessarily the earliest, although why one particular owner’s name is retained it is not possible to say. For example, Gobions took and kept the name from William Gobion, who held the property in 1391, whilst Brookmans Manor took the name from John Brokeman, but only some time after his death in 1415. Before that it was the ‘Manor of Mimeshall’. The names of the following two very dissimilar properties are interesting. In 1364, ‘Phus. de Harlow’ purchased a messuage of land, in the Manor of North Mymms, of John Bolton, as is recorded in the Duchy of Lancaster archive. 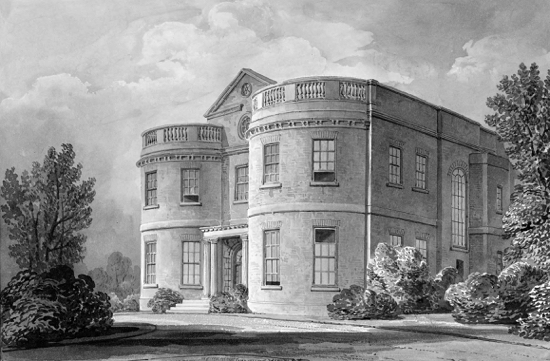 (Note: The Manor of North Mymms was originally held in the Honour of Clare, which became part of the Duchy.) 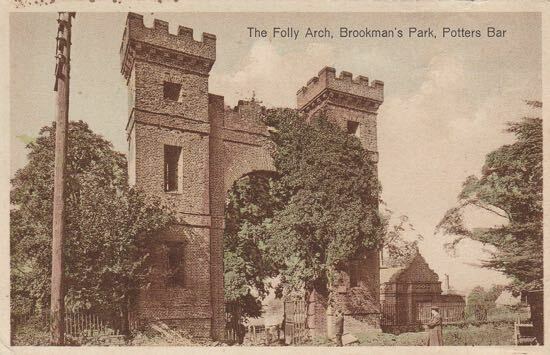 From then on the property was known as ‘Boltons’, later ‘Boltons Farm’, which lies on the south side of Hawkeshead lane, opposite Folly Arch. It passed through several hands until Gilbert Gerrard Esq. Sold it to John Lyon, yeoman, in 1581. It is a coincidence that Boltons Farm, which had been a capital assett of an education establishment for 200 years, is now part of another educational establishment, the Royal Veterinary College. This was the name of a property at Swanley Bar, which I first read about in a rental in the Manor Court Roll of North Mymms, dated 1424. This recorded that the Bailiff was responsible to the Lord of the Manor, for the revenue from ‘one toft with garden adjacent called Milksoppes’. This means that it was held of the Manor of North Mymms; that it did not at that time have a tenant, and it was therefore in the hands of the Lord. A ‘toft’ was a small enclosure of land with a peasant’s dwelling on it and , when offupied, would almost certainly have been ‘copyhold’. Later it must have been held by Sir John More, of Gobions, because in 1551, Elizabeth Coningesby, widow, then Lord of the Manor of North Mymms, lodged a complaint in the Court of Augmentations that this, with certain other lands, had been copyhold of the Manor and should not therefore have been included in the property sequestrated by King Henry following the execution of Sir Thomas More. I do not think she was successful as this small property remained part of Gobions. It is shown on the map of the lands of Jeremy Sambrooke of Govions, dated 1718, a copy of which is in the archive in Hatfield House. It is a narrow plot, of about one acre, on the south side of Swanley Bar Lane, and immediately adjoining the Common. For some time, I did not think that this could be the name of an early occupier, as I could not accept that such a derogatory nickname would become an accepted surname. However, later when researching some land in Surrey, I found a charter (c.1300), granting certain land in the Parish of Nutfield, which mentions land sold by ‘William Milksop’. Further checking confirmed that this medieval surname survived into the 18th century, but I have not yet found it in any earlier records of North Mymms.